Long has the maple leaf stood as the mark of the Canadian people, “the king of our forest; … the symbol of the Canadian people.” It was called by the French Canadians in 1834. The symbol spread as a mark of national pride, eventually finding its way onto the coat of arms of the provinces of Ontario and Quebec. 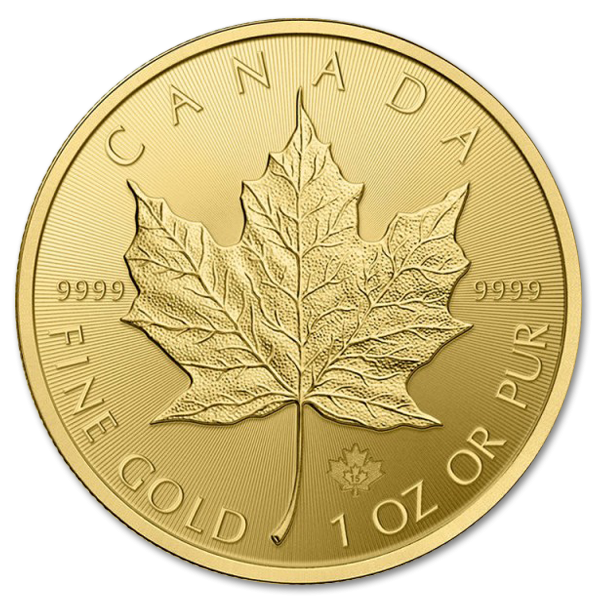 In 1965 it reached its culmination, finally finding its place on the Flag of Canada, and since then has marked all things Canadian, including these 1 Oz Gold Maple Leaf Coin. 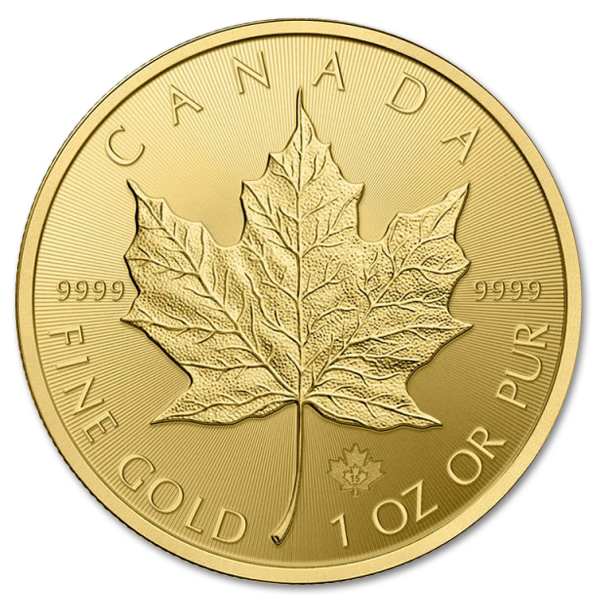 Crafted on a 2.8mm thick 30mm disc of gold, the maple leaf gold coin is nothing shy of a work of art, with its weight and purity being secured by guarantee of the Canadian Government. 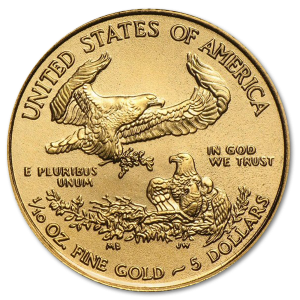 That kind of assurance makes it a popular yearly investment for both collectors and investors, as does the beauty and masterfulness of the art that graces both sides. 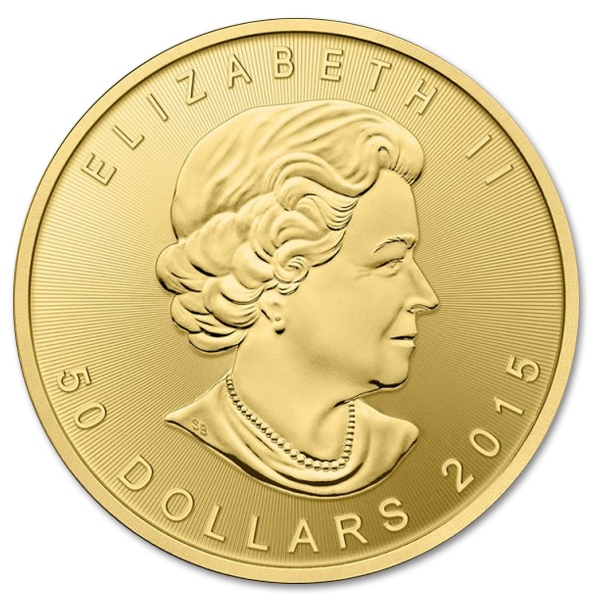 On the obverse is a regal engraving of the beloved Monarch of Canada, Queen Elizabeth II, while its reverse side bears the symbol of the Canadian people, the maple leaf. 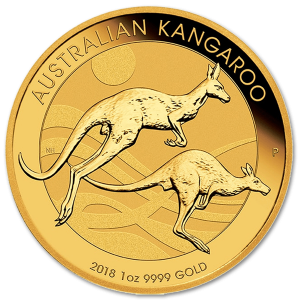 As an addition to your collection, this bullion gold coin is one you can make both in appreciation of its craft, and the security of knowing it’s made of the finest .9999 gold. Master Engraver Walter Ott wanted to challenge the prominence of the popular Krugerrand Gold Coin, and so worked with the Senior Engraver of the Royal Canadian Mint, Stanley Witten, to develop this beautiful 30mm diameter coin. 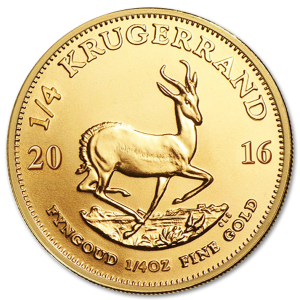 At the time the Kruggerand was the only bullion coin in circulation, and obtaining it was difficult due to the economic boycott of apartheid in South Africa, its place of origin. 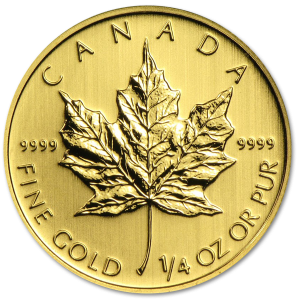 Since its creation it has become the most popular gold coin from Canada. Owning this coin is owning an important part of both world and numismatic history. The coins creation may have been ordered by Master Engraver Walter Ott, but it was the skill and style of Senior Engraver Stanley Witten of the Royal Canadian Mint that would define the form it took. His rendition of Queen Elizabeth II perfectly captures her maternal and regal nature, and the maple leaf is worked in incredibly intricate form, with every vein of the leaf revealed cast in bas relief on this maple gold coin.